Waterloo Region’s NIGHT/SHIFT main event takes place the night of November 4. Photo courtesy of nightshiftwr.ca. 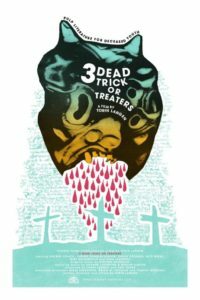 If you travelled through indie spaces in downtown Kitchener in early October, you might have seen flyers for Three Dead Trick or Treaters, a local horror film that’s touring 20 locations this fall, including internationally (The Record, Martin De Groot). Those are some impressive results from creator Torin Langen, who reached out to art spaces around the world and in multiple disciplines, in order to share his work. This included art galleries and other spaces that wouldn’t usually be dedicated to film, highlighting that if an artist wants to get their work showcased, sending a few emails or picking up the phone can a smart move. Kitchener artist Laura McBride spearheaded a mission to beautify the boarded-up houses in her downtown neighbourhood (The Record, Laura Booth). With the help of the property caretaker and a troop of neighbours, they created nine large paintings on panels and attached them to the covered windows, bringing together colours from the surrounding area to form pleasant images of birds and flowers. The effort involved community fundraising, plus a small grant from the Central Frederick neighbourhood association. This is an awesome example of community members getting together to change their neighbourhood, but it does raise questions about what responsibilities absent property owners should have to those communities. In an interesting and timely contrast, Waterloo artist Paul Roorda installs curio boxes—tiny art galleries filled with vintage items—as street art on telephone poles. This fall, he was ordered to take them down two days after he installed them (The Record, Laura Booth). While it’s not the first time Roorda has used this project to call attention to climate change, it IS the first time that someone has complained to the city, concerned that the converted cash boxes might have been dangerous. My first thought was whether the complaint might have been spurred on by fear of recent high-profile attacks in public areas, since the box in question contained a clock… or maybe a neighbour just didn’t like it. There’s also the fact that, as with most street art, it was placed without permission. In its ideal form, such artwork is a breath of fresh air to everyone that interacts with it—but it’s also kind of inevitable that it will be taken down. 2017 RBC Canadian Painting Competition winner Ambera Wellmann. 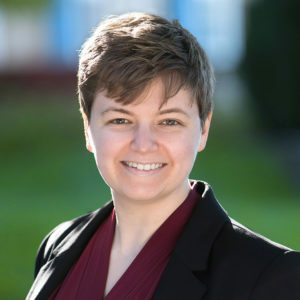 Photo courtesy of RBC, photographer Cynthia Münster. A big round of applause to an artist from the neighbouring city of Guelph: Ambera Wellmann won the top spot at the 19th annual RBC Canadian Painting Competition! The public art gallery in Guelph also just got a new curator: Andrew Hunter was selected for the new position after he resigned from the Art Gallery of Ontario in Toronto just a few weeks ago. 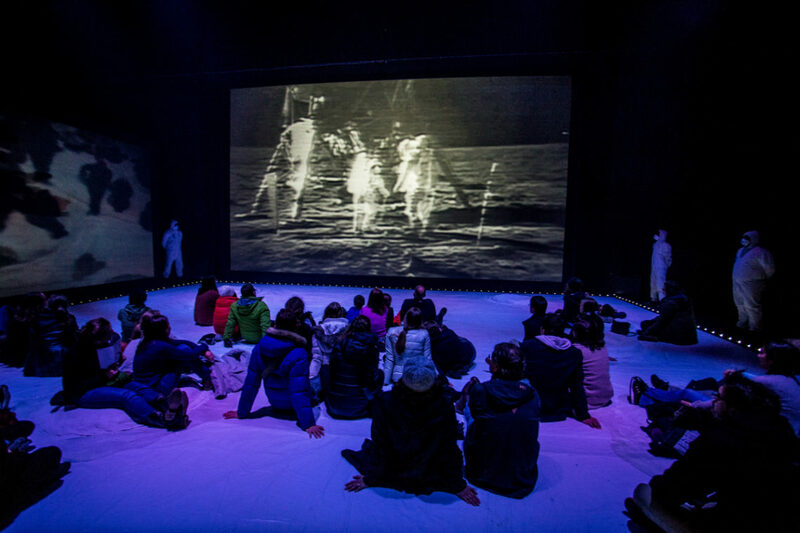 Hunter’s work as a curator at the AGO has been ambitious, tackling whether galleries as institutions have an obligation to fight dominant narratives around race, gender and poverty, while also being entrenched in them. The Art Gallery of Guelph drops hints in its press release of the new directions that it wants to take in engaging with artists and the public. 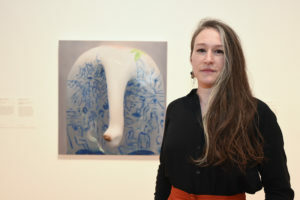 It emphasizes bringing together artists from different disciplines and the “transformative” nature of the work Hunter and the gallery plan to do. I’m one of those people concerned about public access to art; I want to challenge the idea of visual art as something separate from everyday life and look at ways to ensure artists (and members of the public) from all backgrounds have the chance to engage with and enjoy it. A smaller public art gallery than the AGO might be the perfect testing ground for a genuinely transformative approach—if they can pull it off. This annual show in Waterloo features two-dimensional artists (primarily painters and photographers) following some very specific guidelines. The “Square Foot” section of the show highlights 12-inch by 12-inch works on canvas or panel with a “gallery” depth, which means that the panel or canvas is 1.5″ deep and doesn’t need to be framed. It’s a gorgeous format, and all works in this section will be priced at $225. The second section, “Big Ideas” told artists to go big with any medium: every work is at least 30 inches long on the shortest side, and all works are priced under $1,500. Art galleries often do shows like this just before the holidays, deliberately pulling together work from a variety of artists, for an affordable price. If you have a budget for art, show like this are a good chance to find out what you like and meet local artists. Night-time art festivals bring art to the street, turning every corner of a downtown into a temporary art gallery. 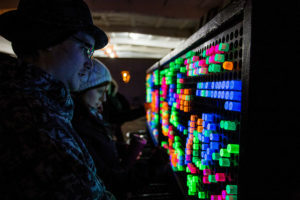 Inspired by the Nuit Blanche model in larger cities, NIGHT\SHIFT encourages citizens to bundle up (it is November) so that they can see—and play with—downtown venues transformed by multidisciplinary artists. And don’t worry: a lot of these exhibits are indoors too! RSVP for the main event on Facebook, or check out the preview event on Friday night, from 5pm – 10pm. Art in KW is a series of blog posts published on the 25th of each month. I aim to provide a quick look into the local Kitchener and Waterloo art scene with a short rundown of events that anyone can attend, especially those showcasing painting, drawing and location-specific art projects. Did I miss any local visual art news? Share it in the comments below!